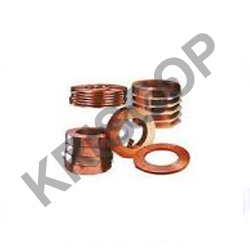 KRISCOP (C101/C102/C103/B170/B379) with exceptional finish are available in different diameters, thickness and finishes so as to best match up with the requirements of application. 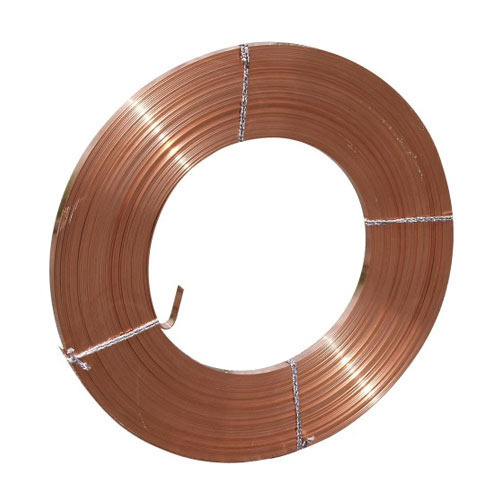 The range offered by us under this includes Bare Copper Strip, Enameled Copper Strips, Braided Copper Strip, Glass Fiber Covered Copper Strips and Paper Copper Strip. 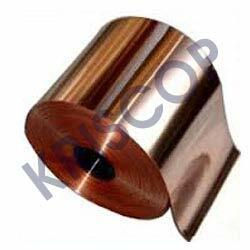 Our unmatched range of KRISCOP Bare Copper Strips are resistant to corrosion. These strips are used in automatic machines to enhance the production and also reduce wastage. These bare Copper strips are used as raw material in different machines and preferred in areas where salt content in soil is very high. 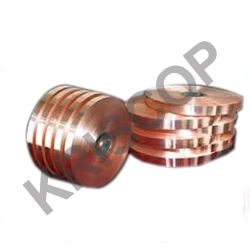 KRISCOP Braided Copper Strip are available in different specifications to meet the prevailing industrial standards. 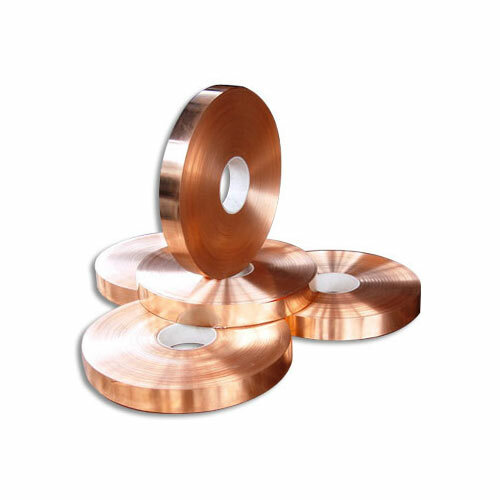 With main usage in electrical applications as these feature high conductivity as well as resistance to corrosion, these are much stronger than solid copper wires and have ability to withstand greater loads. 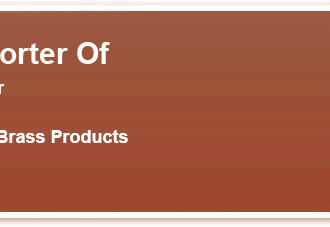 The strips are available in best material grade finish to provide best match in involved end applications. 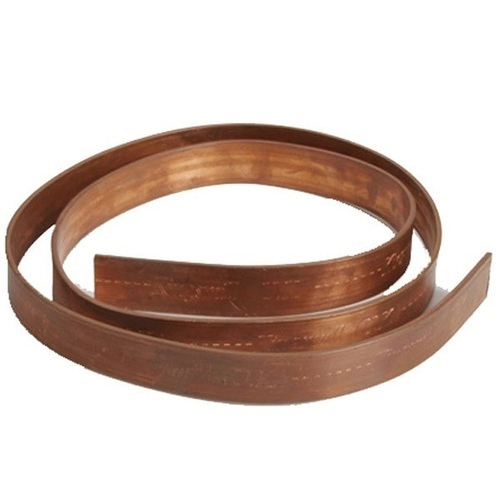 KRISCOP ETP Grade Copper Strip C110 / B5 Copper Strips find many applications as Electrical Conductors, Switch Terminals, Hardware used in Electrical Circuits, Electrical Contacts. 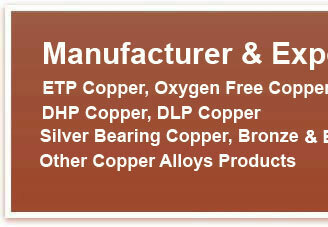 These beryllium copper strip products are available in Hard, Half-hard and Soft condition. KRISCOP Oxygen Free Copper Strip C101/C102/C103/B170/B379 These Oxygen Free copper strip products are available in Hard, Half-hard and Soft condition. “KRISCOP” Copper Strips with exceptional finish are available in different diameters, thickness and finishes so as to best match up with the requirements of application. ASTM B 68, ASTM B 75, BS 2871 Part 2, BS 2871 Part 3, EN 12451. 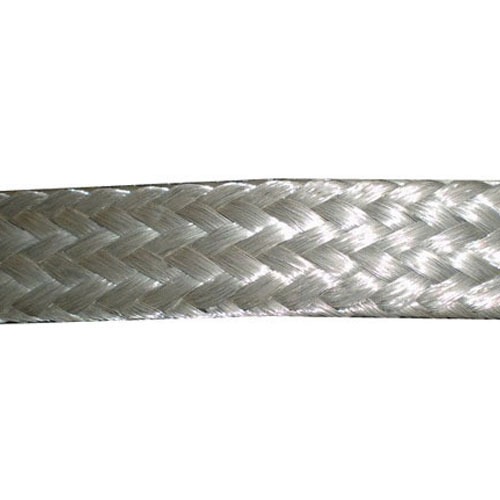 The range offered by us under this includes Bare Copper Strip,Enameled Copper Strips, Braided Copper Strip, Glass Fiber Covered Copper Strips and Paper Covered Copper Strip. 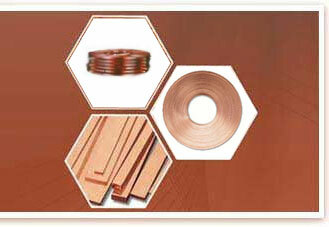 We manufacture Copper Alloy Strips using quality material. Our range of copper Alloy strip is available in various thicknesses & dimensions which extensively used in automotive and electric industries. Functioning of Copper Strips: With the immense growth of industrialization along with the technological advancement, the demand for copper Alloy strip has increased remarkably. Due to their high conductivity and superior dimensional control, Copper strips are used in various industries for diverse applications. Copper Strips are used in distinct industries because of their various unique characteristics including electrical and thermal conductivity. 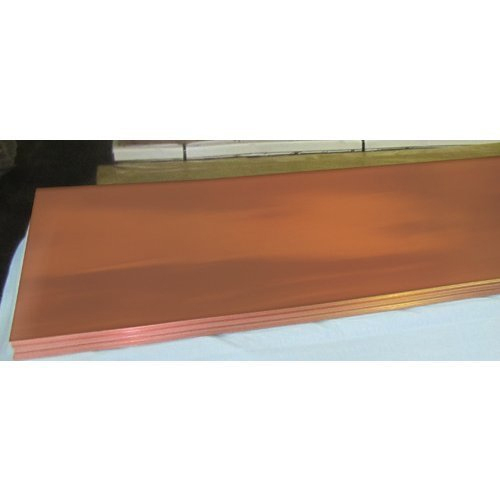 These copper strips can be easily fabricated, welded or soldered.